ABOUT MAGGIE - Discover Your Wonderpowers! "Being a mere mortal is no longer enough to survive in today’s world – life is hard. So you have to be a Superhero, and I have found no better role model than Wonder Woman! Negative energy is everywhere so you need to deflect it with your silver bracelets and your Wonderpowers within, otherwise you will go down like the Titanic! You must constantly surround yourself with positive energy to fight this battle of good versus evil – and you need Wonderpowers to do it!! As children in school, although we are all taught about math, history, and English, we are held back because society doesn’t teach us about our Wonderpowers. But change is happening, and our world’s consciousness is growing rapidly – and it all starts with each of you individually acknowledging your own Wonderpowers! Keep my book handy so you can refer to Wonderpowers as you need them and are developing your skills. 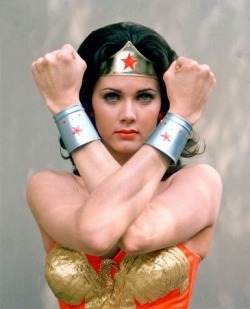 Just like Wonder Woman uses her superpowers to fight crime, you need special powers to be safe and happy in this world! Life is like a war, but don’t worry because you are not alone. Help is here! Wonderpowers are now available for everyone! How easy is that? Just read this book and now you no longer have to struggle – life will be easy and fun because you will have tools! You have Wonderpowers! So you never thought you could be a Superhero? Well, we are all human but we all have Wonderpowers with in us – and now Secret Wonderpowers are available in this book! I want you to use your own Wonderpowers and so I am sharing all of my Wonderpower secrets with everyone! Just imagine what a wonderful world we would live in if everyone became a superhero?! Well it is possible so order my book today and start discovering your own Wonderpowers!" "I learned first hand how to be Wonder Woman because I actually played the character in a Warner Brothers live action stunt show. Actors have to study their characters deeply to learn how to become that character and be effective, and being Wonder Woman everyday was not easy! 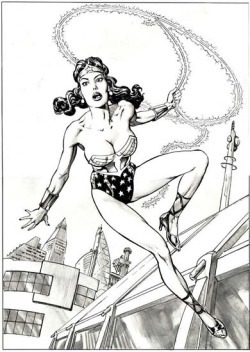 I had a great time, but it was a mentally and physically demanding show because I had to go on that stage and be Wonder woman everyday whether I was in the mood or not. This required me to develop Wonderpowers! I needed Wonderpowers so I could have the energy everyday to save the world! But even off the stage, I have found it necessary to use my Wonderpowers with everything in life. Today we all have to be like Superheroes. You don’t have to be Wonder Woman to experience Wonderpowers! If you keep your eyes open, you’ll see there are wonder men and women everywhere! Positive People everywhere are greatly impacting themselves and society with their Wonderpowers. So claim your Wonderpowers! Help fight crime and become a Super Hero too! Read on and share your Wonderpowers with everyone! Let’s make our world a happy and safe place filled with peace, love, and prosperity!" Maggie helps people on all levels – mentally, physically, emotionally, and spiritually. She understands how energy works and incorporates all of her Wonderpower healing knowledge and experiences with the EPFX, which takes her healing practice to a new level. 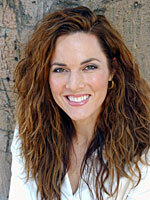 She also has worked with energy as a Quantum Touch Healing Practitioner and studied at the Southern California Psychic Institute. Maggie is committed to World Peace as she is also the author of another ‘must read’ book, “Wonderpowers: The Power of Truth will Save the World,” where she helps us to arrive at world peace and explains how it will ultimately heal the world in every way. Maggie is an amazing healer. She is available for appointments and can do them over the phone or in person in Los Angeles, California or Las Vegas, Nevada.